Mediation is a process in which people or groups who are in conflict, can work together to arrive at a mutually acceptable resolution. The mediator is a person who facilitates this process. He or she is neutral and not involved with anybody in the dispute. In this process, the parties, with the help of the mediator, identify their interests, prioritize their needs and find the best ways of communicating these interests. Conflict in life is normal....and, of course, it is very normal for people who are ending a marriage. Yet, we are often frightened of conflict, whether we can manage our emotions within it and whether we will come out with the best result. These concerns do not have to become reality, however, and with a trained and skilled mediator, the individuals can negotiate through their conflict to a mutually acceptable result. A mediator is a “negotiation coach,” also, in that he or she guides the participants away from a “zero-sum,” win-lose attitude and toward the interest-based negotiation model. Rather than become entrenched in positional bargaining stances, participants are encouraged to explore and describe their underlying interests. A mediator is a “protector of the process and the participants.” He or she will assure that neither party will feel threatened or abused. Everything said within the mediation is confidential and cannot be used at a later time to injure the other person or damage their interests in the legal dispute if mediation is unsuccessful. The greatest benefit of mediation is that the participants fashion their own resolution. Nobody knows them and the intricacies and nuances of their relationship and their needs the way they do. Certainly no judge or arbitrator can understand the complexities of their lives and relationship after a hearing or trial well enough to make a ruling that is appropriate for their specific circumstance. A mediated result conforms best to the disputants' real needs. Mediation is, of course, much less expensive than litigation, by a factor of many thousands of dollars. Mediation allows all individuals to talk unlike a courtroom where a judge is limited based solely on evidence presented. Mediation saves the participants from the wounds that are inflicted in litigation. Mediation allows people in conflict to resolve their disagreements (often wrenching disagreement over intimate and crucial personal issues) in an environment of integrity and mutual respect. Individuals emerge from the process feeling stronger and better about themselves and the other person. We recommend that everybody employing our mediation services confer afterward with a lawyer to review the final Mutual Settlement Agreement (MSA) to assure that your interests and concerns have been addressed in a satisfactory manner. A Marriage and Family Therapist/Mediator is uniquely trained to help families through difficult, emotionally charged situations such as a divorce, resolve disagreements and disputes, and lay the groundwork for an improved on-going relationship between the parties and their families after the divorce is over. Clients often bring strong emotions to the mediation process, which can interfere with the productive resolution of issues. People want to be heard. It’s the reason why so many people say, “I just want my day in court.” Therapists are trained to closely follow a client’s narrative and listen to their stories. Therefore, the skills of a therapist make it less likely that the mediator will become impatient with a disputant’s pace or attempt to rush the process. Moreover, whereas attorney mediators tend to focus on the content of communication during mediation, therapists are trained to simultaneously attend to content and process of communication during mediation. The pain that people experience during divorce usually has more to do with the inherent adversarial nature of a traditional divorce, rather than the loss of the relationship. Dealing with loss and grief is almost always a part of disagreements between family members – loss of relationship, loss of a dream, loss of identity, loss of social relationships, loss of financial security, etc. Beginning to come to terms with loss is an essential precondition for reaching a compromise in any dispute. MFTs are trained in helping people find meaning and dignity in their experience so that they can come to terms with loss and grief. Utilizing an MFT mediator allows for an openness that vastly improves the likelihood of successful mediation. Because dispute resolution for families is outlined as an appropriate role for an MFT by their Texas licensing rules, family mediation services may be covered by health insurance benefits or Health Savings Accounts. 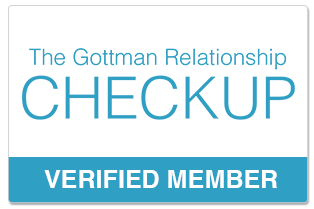 Rebecca Marsh is a Certified Divorce Mediator and Marriage and Family Therapist. 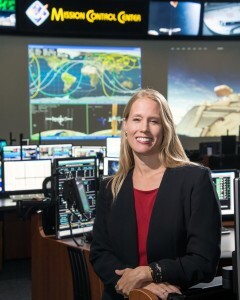 She has unique experience in resolving conflict resolution disputes through her 19 year career working at NASA/Johnson Space Center as a Flight Controller in the Mission Control Center as well as counseling 1000's of couples and families toward better communication. Please call to schedule your mediation with The Family Relationship Center 832-720-4330 or email us at [email protected] with your mediation conflict.